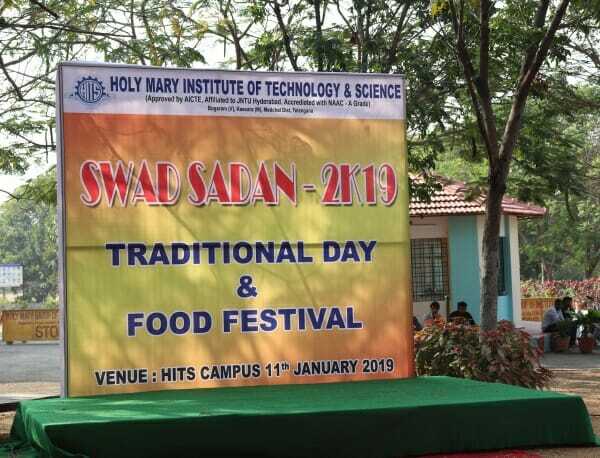 Holy Mary Institute of Technology and science has celebrated one of the most anticipated day of the year, Traditional Day & Swad Sadan Fest. 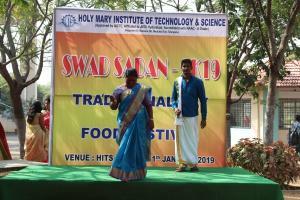 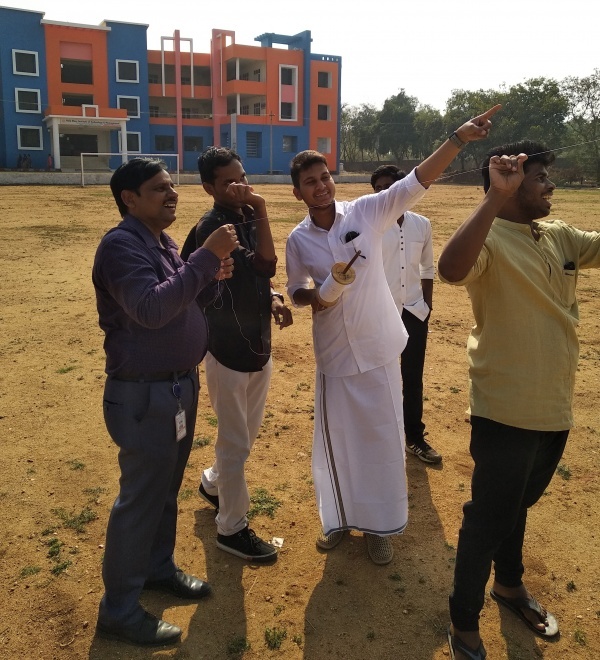 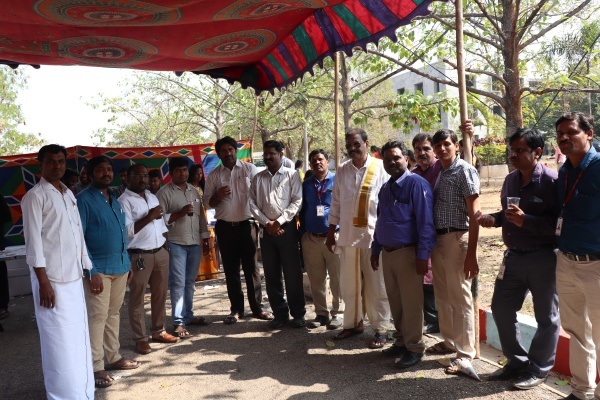 The traditional day was held on the 11th of January 2019 at the college campus. 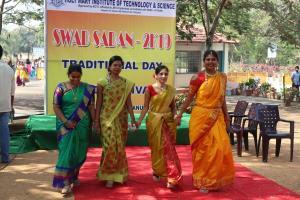 Traditional Day is observed as a celebration of India’s diverse culture, and is usually relaxed day at work. 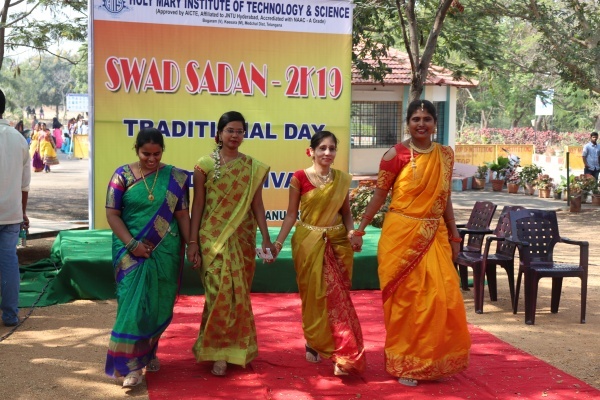 It’s a day designated for people to come in traditional attire from their home state, or specific culture of their choice. 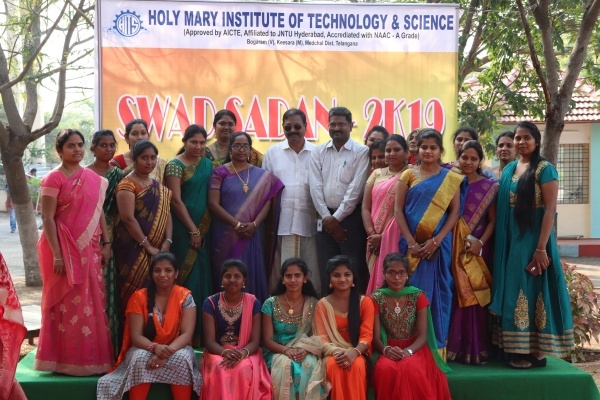 Program was inaugurated by Honorable Director Dr. P. Bhaskar Reddy and he addressed the gathering and delivered speech about our Indian Culture and Tradition. 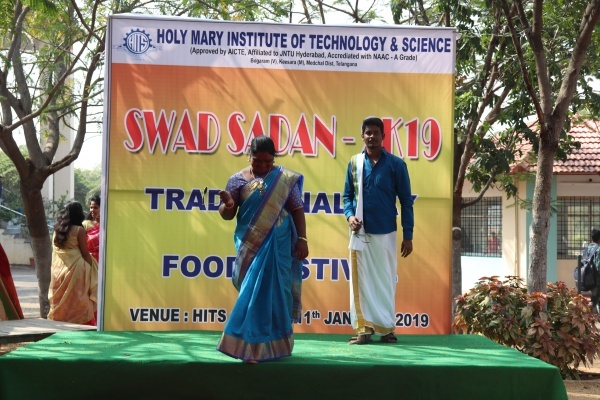 Then the Program continued with all of our students and staff performances individually on stage which include Ramp walk, Dances and Singing. 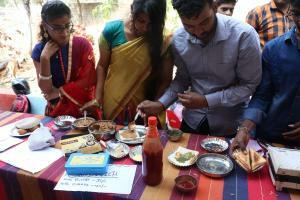 It was an awesome plat form to improve their creativities and potentialities through this Traditional Day. College management had encouraged the students to bring out their hidden talents. The best Attire from students are SK. 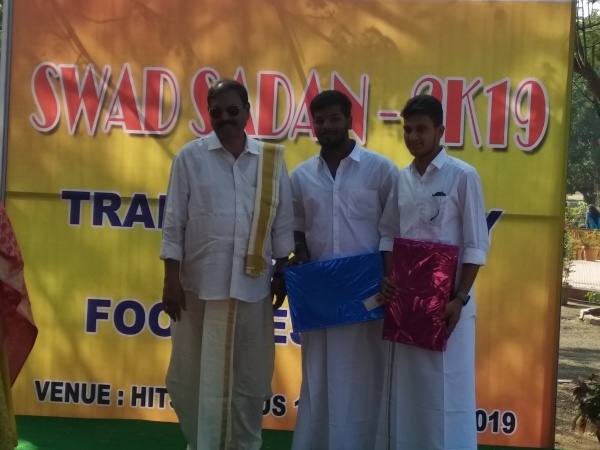 SAJID AHMED ( Boy student) and CHUBALEMLA ( Girl Student), and from the faculty side Best Female Attire D. Padmasri , Assistant Professor(ECE) and Best Male Attire J. Venugopal, Assistant Professor (CIVIL) . The Prizes were given by Director. 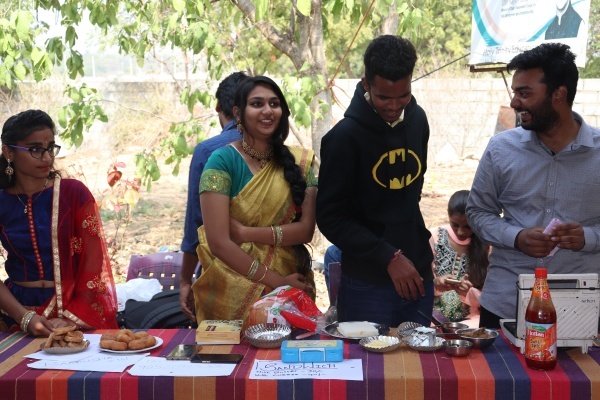 Total 27 food stalls were arranged, starting from Tea stalls to biryani stall has arranged, each stall contains the two food items.Everyone displayed their various cultures by dressing their best which was a colorful treat to the eyes in itself. 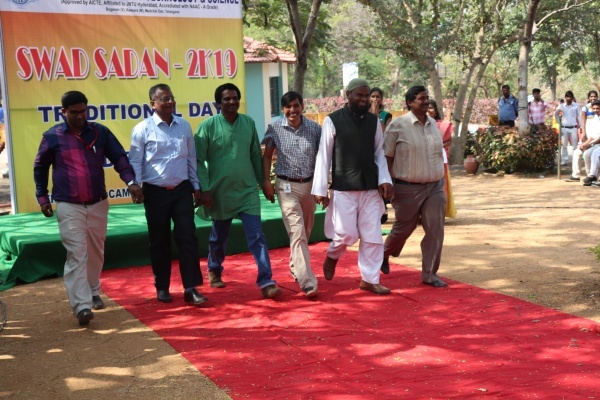 Lots of pictures were clicked by everyone to create memories of this beautiful day. Props were arranged for clicking pictures which added an quirk to the excitement around. Students of ECE Final year has participated and donated the amount of profit at Aasya foundation, Hyderabad. Rangoli is an ancient folk art from India. It is the representation religious and purification of the human spirit and also shows the eternal creativity of the person It is used for the decoration usually made on the floors. 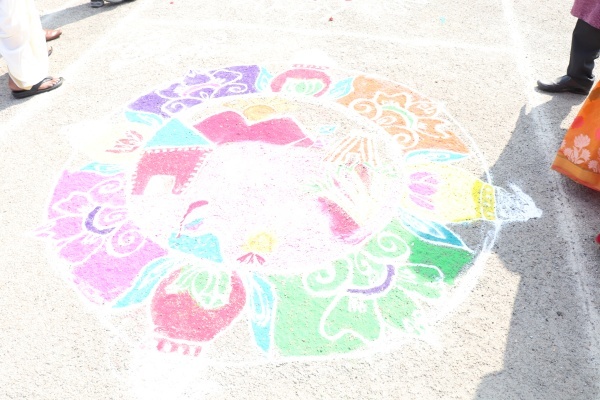 Rangoli designs are created with materials like flower petals, dry flour, rice, turmeric, colors etc. The sole aim of organizing the “Rangoli Design Competition” is to provide a platform to the students to show their talent and creativity. 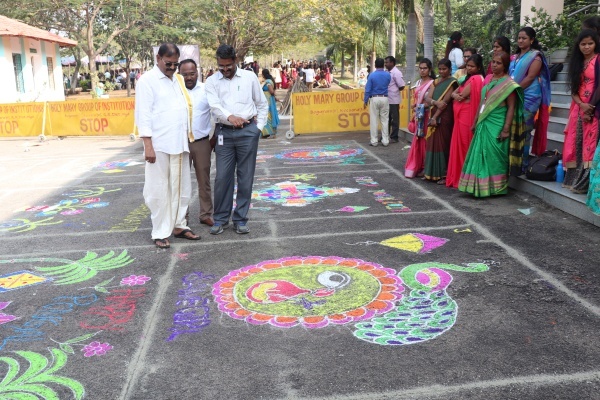 Every year just one day before the festive of SANKRANTHI, HOLYMARY GROUP OF INSTITUTIONS Rangoli Design Competition to offer a platform to its design students of various courses so that they can display their imaginative flairs as an individual and in a team too. 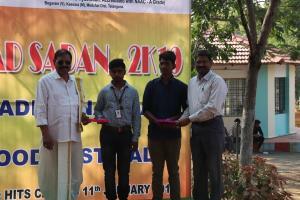 This event helps in developing sense for selecting colors under guidance of the art directors and visualizers in of students of various design courses e.g. 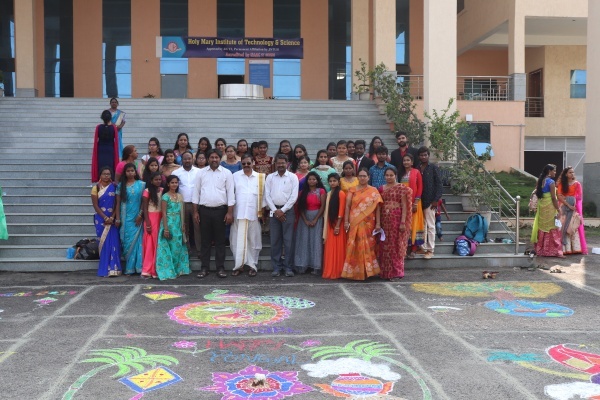 graphic designing, web designing, video editing, animation, multimedia, architecture & interior designing, and visual effects students. 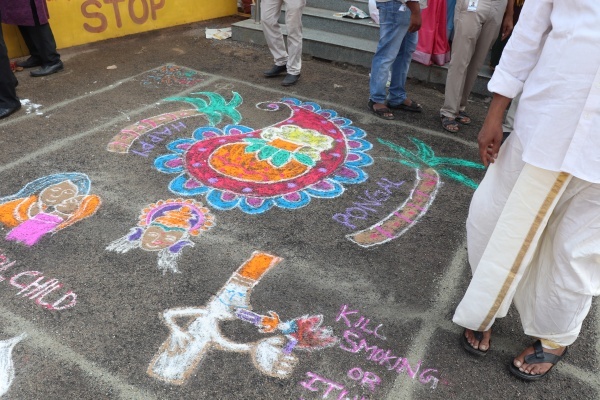 Rangoli is a colourful art known by different names across different parts of India like Alpona, Ossa, Muggu, Kolam etc.With the fragrance of Sankranthi all around in the environment and to please Goddess Lakshmi for showering her devotees with good fortune, prosperity, and wealth. 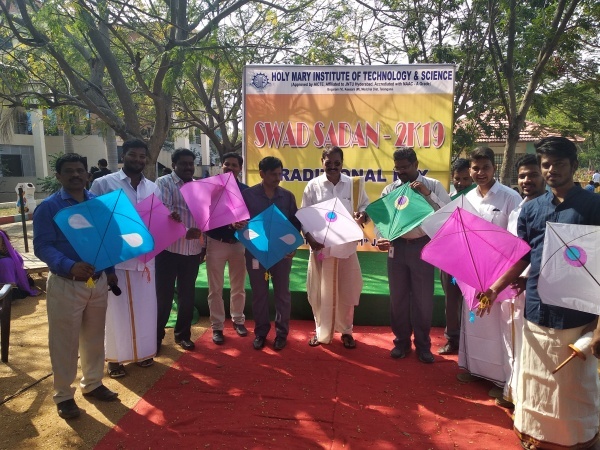 Kite Festival festival celebrated by the Hindu religion. 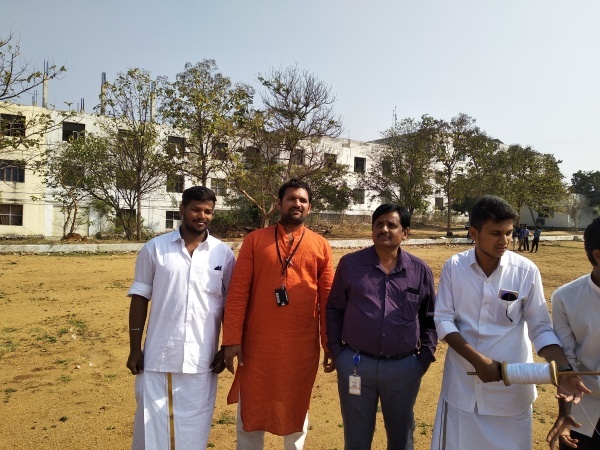 Every year this festival is celebrated as per uttarayana Makara Sankranthi calendar for Three days starting Chaitramasam, usually in January of Gregorian calendar.. It is also celebrated in some cities in Andhra Pradesh like Vizag,Vijayawada etc. It is the festival for men felicitation. 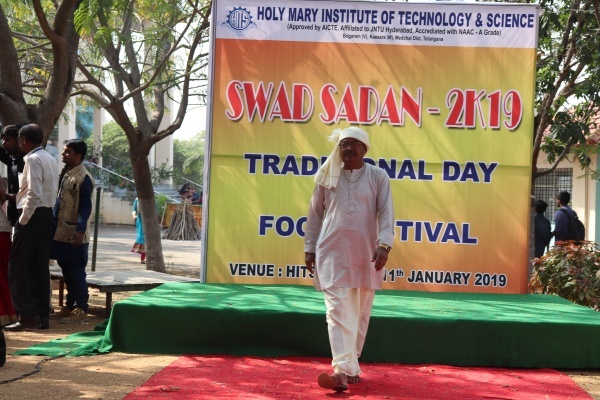 On this special occasion men dress up in the traditional.. 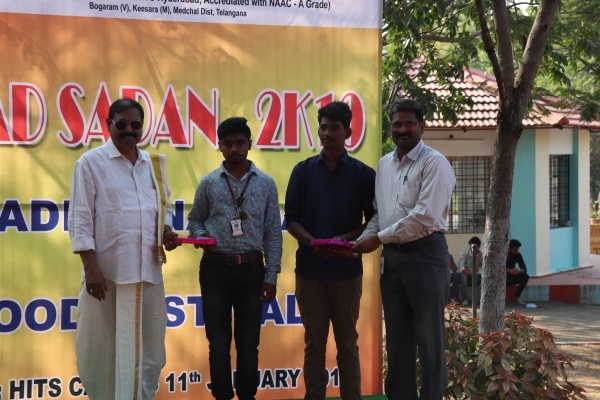 The 2019 dates are January 14,15 and 16. 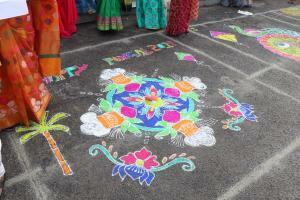 Every year, Telanagana celebrates more than 200 festivals. 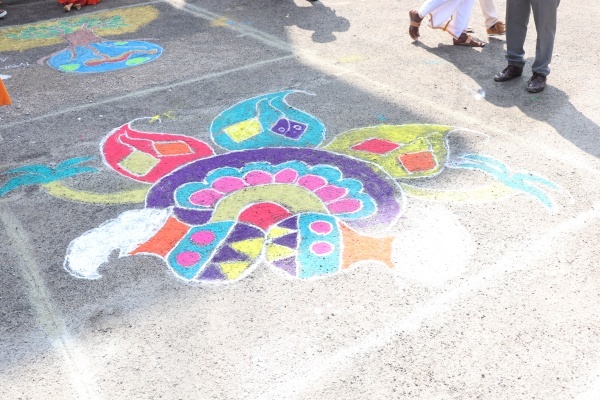 The International Kite Festival (Uttarayan) is regarded as one of the biggest festivals celebrated. 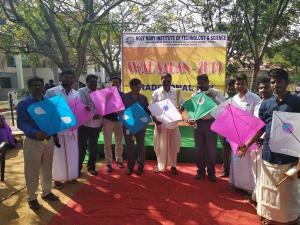 Months before the festival, homes in Telanagana begin to manufacture kites for the festival. The festival of Uttarayan marks the day when winter begins to turn into summer, according to the Indian calendar. It is the sign for farmers that the sun is back and that harvest season is approaching which is called Makara Sankranti. 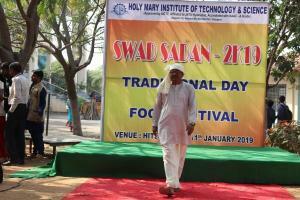 This day is considered to be one of the most important harvest day in India. 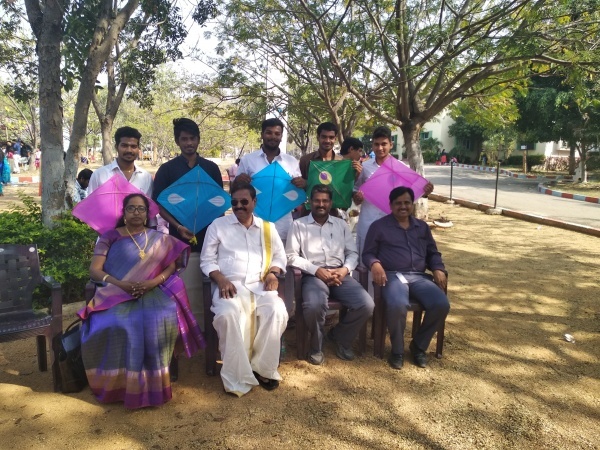 Many cities in Telanagana organize kite competition between their citizens where the people all compete with each other. 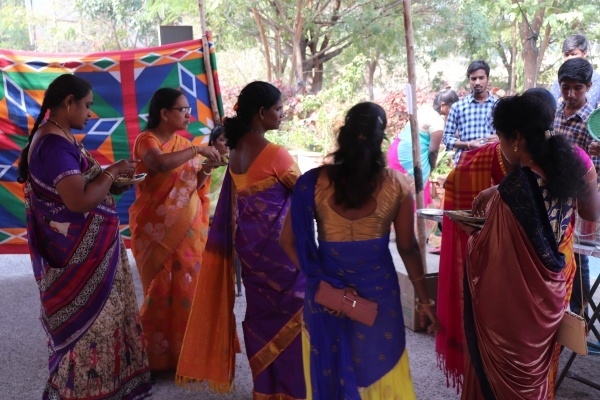 In this region of Telanagana and many other states, Uttarayan is such a huge celebration that it has become a public holiday in India for two days. During the festival, local food such as Sakinalu , sesame seed brittle and Jalebi is served to the crowds. 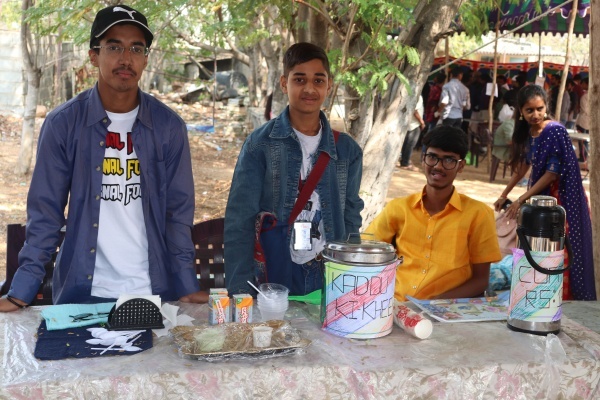 Days before the festival, the market is filled with participants buying their supplies. In 2019.